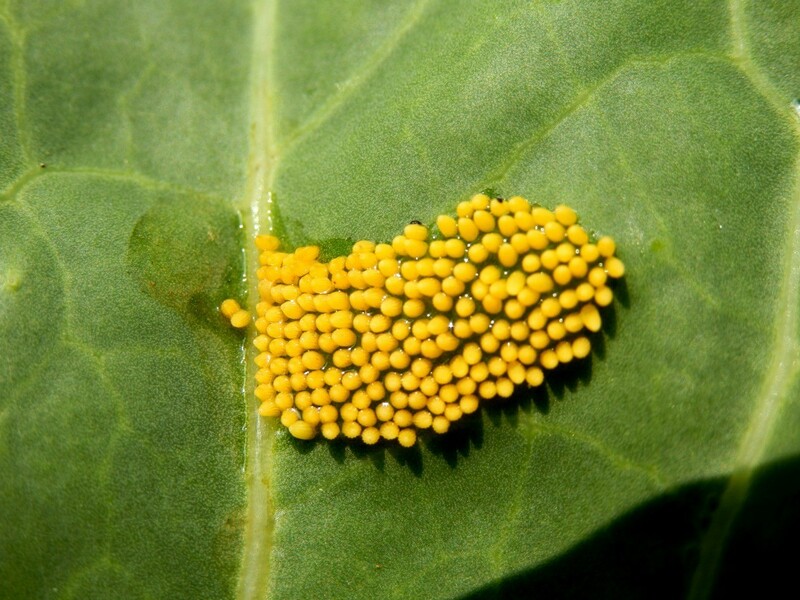 Identifying insect eggs, whether in your home or garden, can help you decide whether they are harmful or beneficial. This is a guide about identifying insect eggs. Question: Are These Insect Eggs? 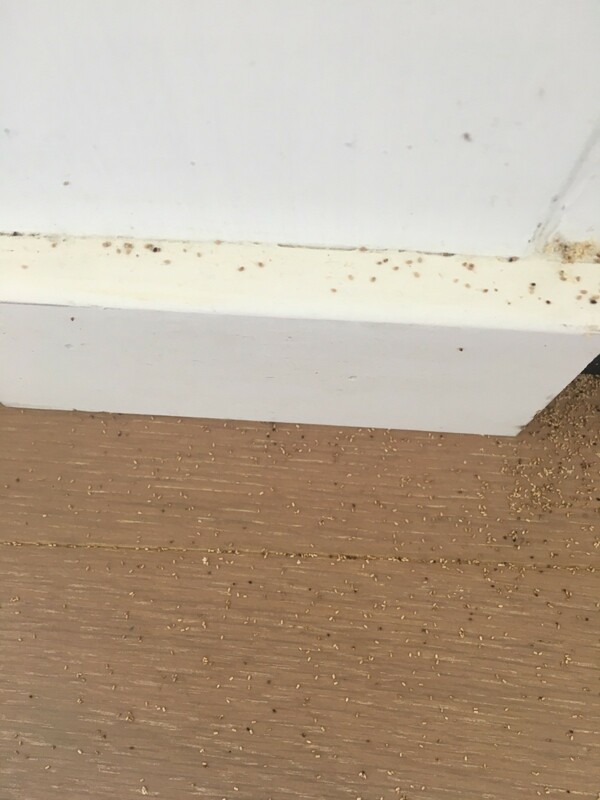 I woke up this morning and found this black mass of I don't know what on my bathroom wall, but it may be eggs of some kind of insect. Does anyone have any ideas? If you see any full grown after these steps, they can be eliminated with any commercial insect-killing spray. 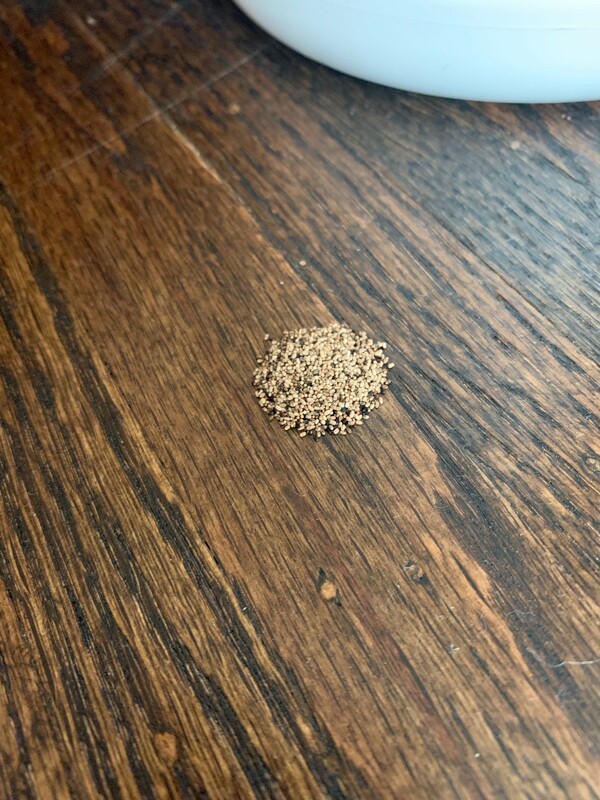 Can you please tell me what type of insect eggs these are? I found them in the corners of my office kitchen. They are behind boxes and cardboard. 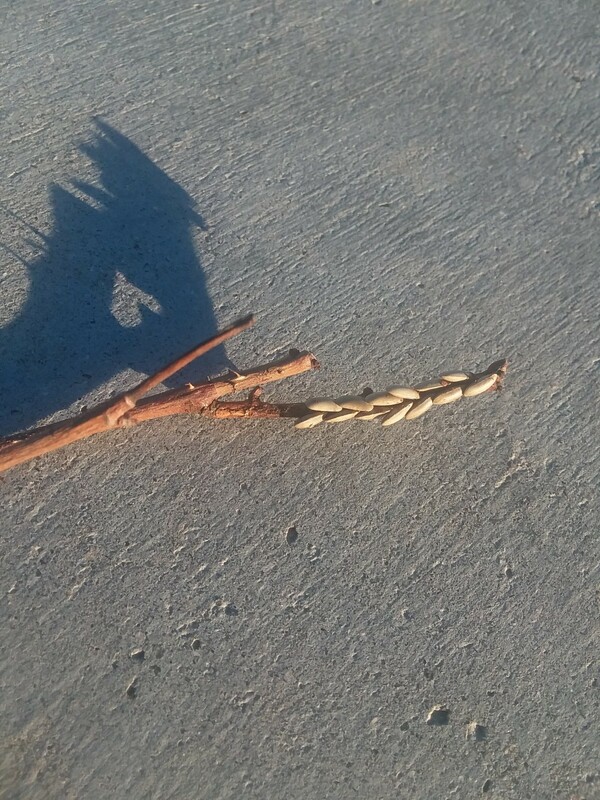 I also found them in-between the broom bristles and along the edge of the wall. 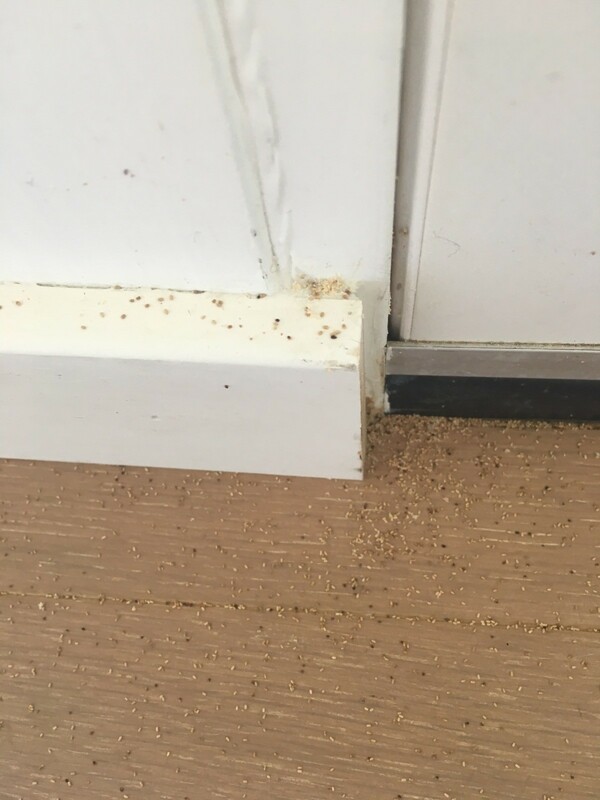 If you could please provide me some tips on how to avoid getting these eggs or killing off the main insect would be helpful. To identify an egg is not that easy. 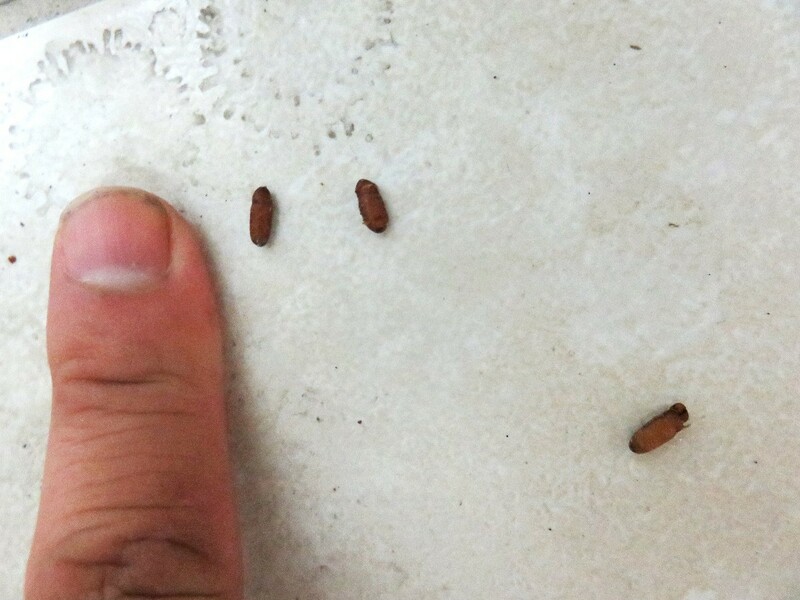 However, there is a way to find out what the insect egg is. Take the eggs that you have gathered and put them in a plastic bag. Go to a pet exterminator company and show them the eggs. They will help you identify the eggs and the insect. Find out if you can take care of this at home on your own. You might need a professional to come in to spray for the insect and the eggs. 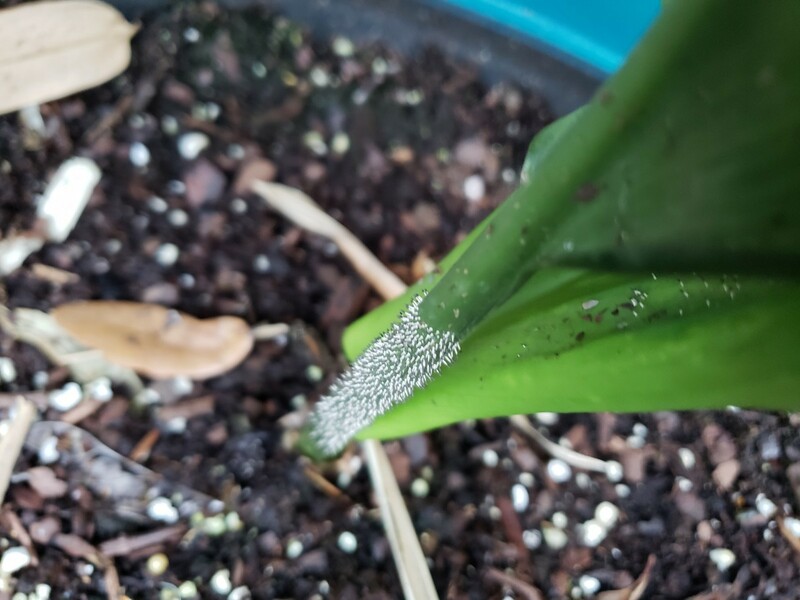 Anyone know what laid these eggs on my outdoor lily plant? I live in Florida. If it's something beneficial, great. But if it's not, I'd like to know before they hatch! If you "stretch" the pic you can see them pretty clearly. I will appreciate anyone's help who may know. And if I should get rid of them will appreciate any good ideas how. They may be root maggots. Check out this link and hold the example up to the stem. They look like they are white with a black tip like these pests. If it isn't a match, I would scrape some off carefully with a disposable plastic knife (leave outside in the trash when done) into a clean glass jar with a tighly sealed lid and inmedately take them to a garden center to help identify them. You may want to put the jar in a sealed plastic bag before transporting. I would not want to risk them being free in a car. Ick!! It could be a lily leaf beetle. I sent the photos to 3 entomologists. So far one has answered - doesn't have any idea what they are. 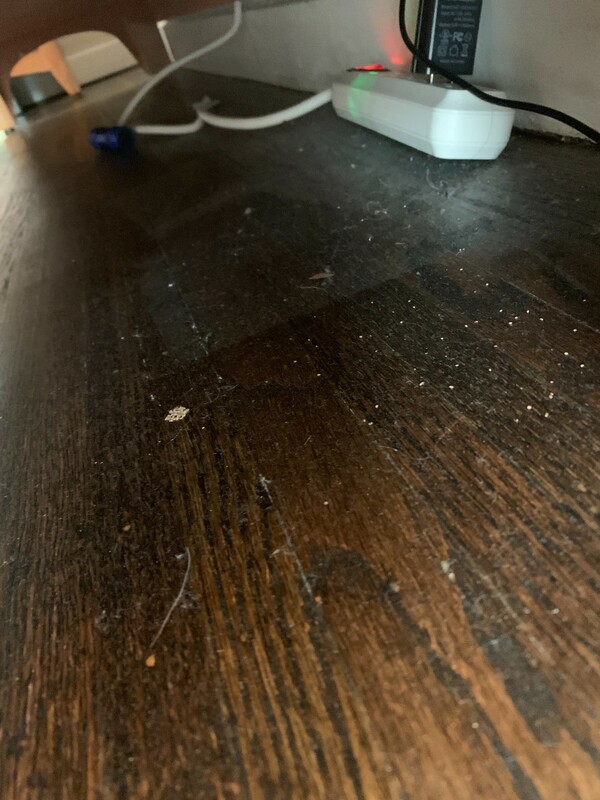 Sent photos to my Orkin guy too so will keep y'all posted if I get an answer! DEFINITELY will seal anything I decide to carry them in - so far just waiting to get answers from 2 entomologists and my Orkin guy. Checked out the root maggot possibility, and I don't think there's a match. 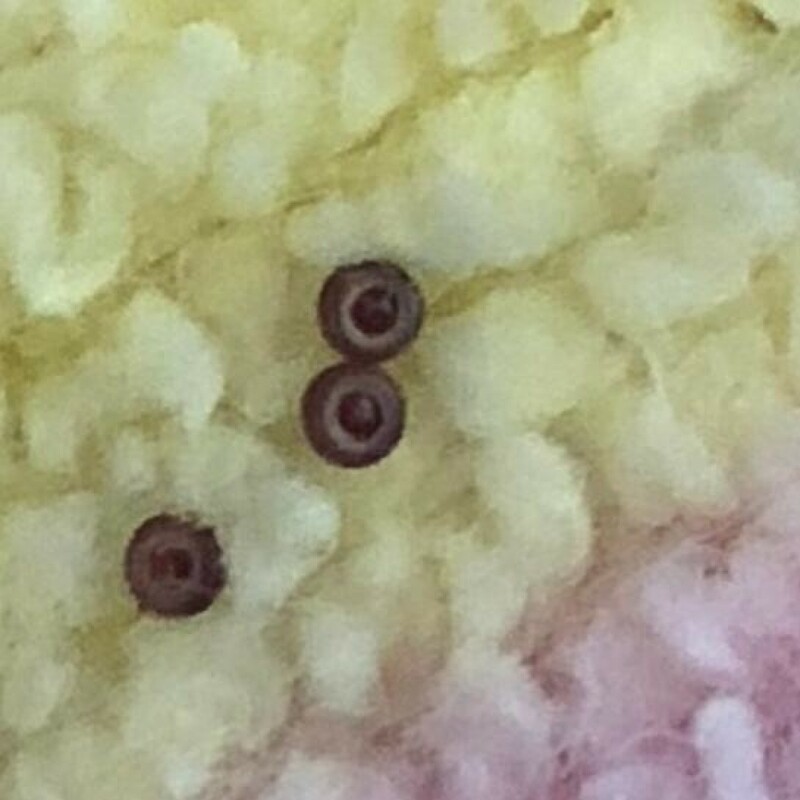 When I looked into them it says they lay eggs on or under the soil, and the plant shows signs of distress. 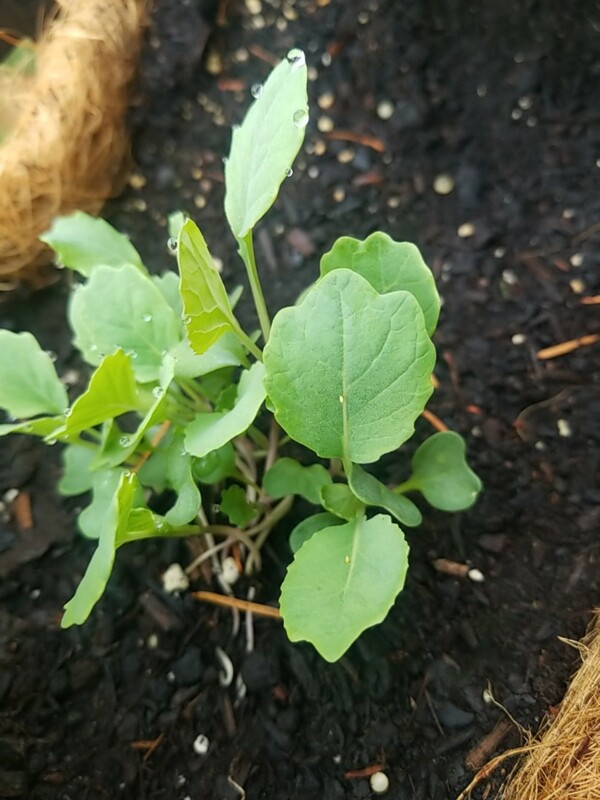 These are on the stem and leaf, and the plant appears to be perfectly healthy. Will keep this group posted if / when I learn more. I'm leaning toward some kind of fly or moth right now. Thanks though! Let's know. Glad it isn't root maggots. They can be brutal to the plant. 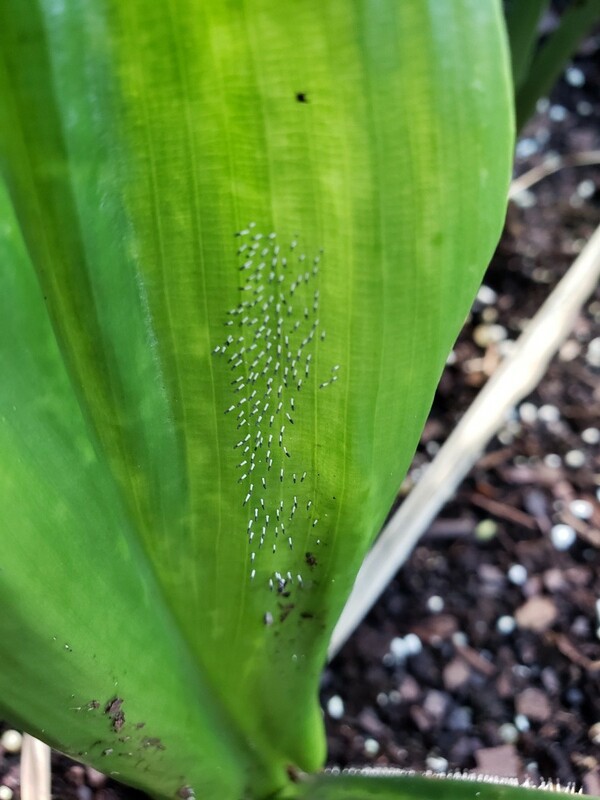 Checked out lily leaf beetle eggs. Nothing like these but thank you! This is kinda strange looking as it appears to have a black tip. I believe you should cut the leaf below the "eggs" and place the whole thing in a large gallon size zip lock baggie so you can carry it with you (safely). Get addresses of your local Agriculture Agency and your County Extension Office. Here are a couple of links to help you. You may also have a Master Gardener group in your area and they are many times very helpful with plant problems. Any one of these offices should be able to help you but seeing the leaf will be the biggest help for them. If you cannot locate an office in your area then take your leaf to your local Ace Hardware or True Value Hardware as they usually have more experienced people in their plant departments. 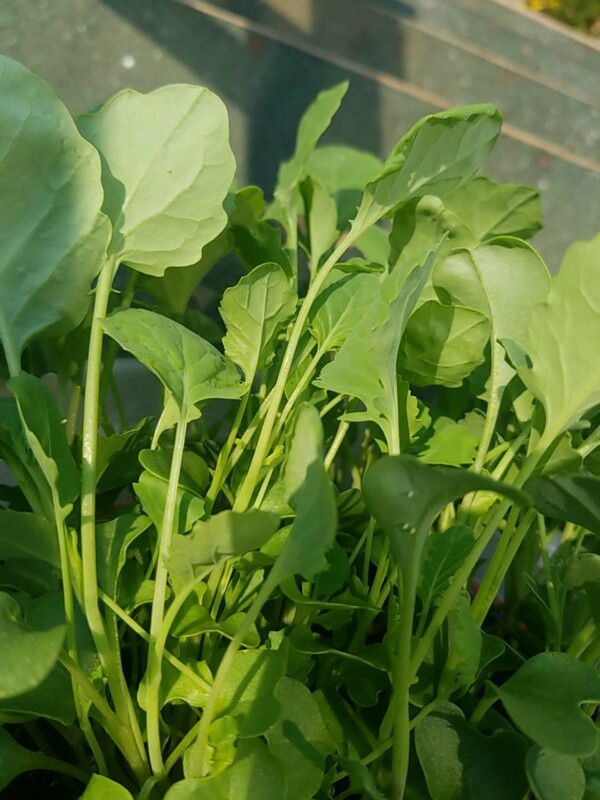 If you live anywhere near a university that has an agriculture department then that may be the best place to start. 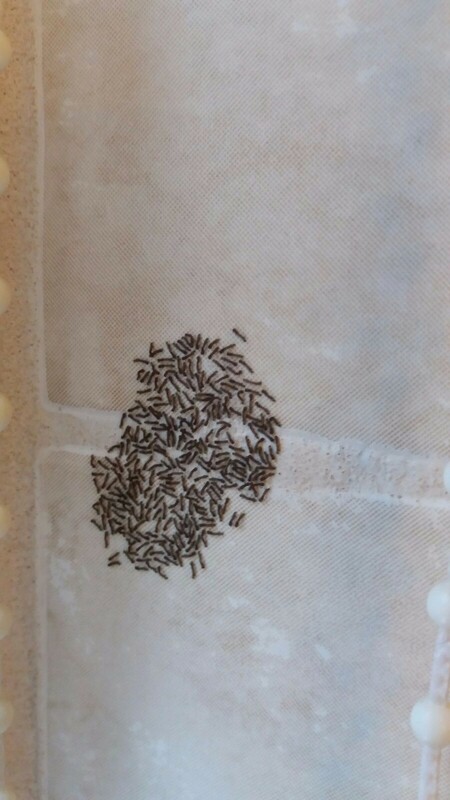 Recently I came across insect eggs that were laid on the TV screen and now even on towels. These eggs cling onto any surface it was laid on and can be difficult to remove. 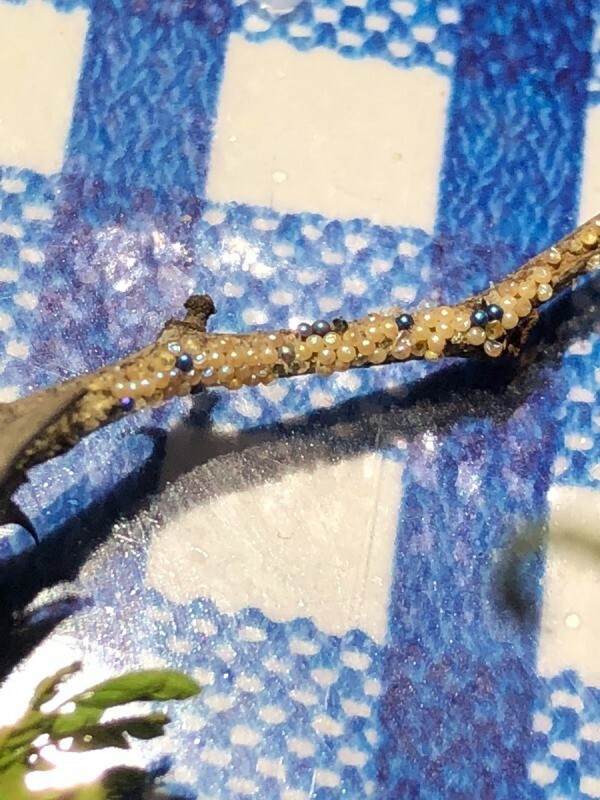 I was just wondering if anyone had any idea what type of insect eggs/insect is this? 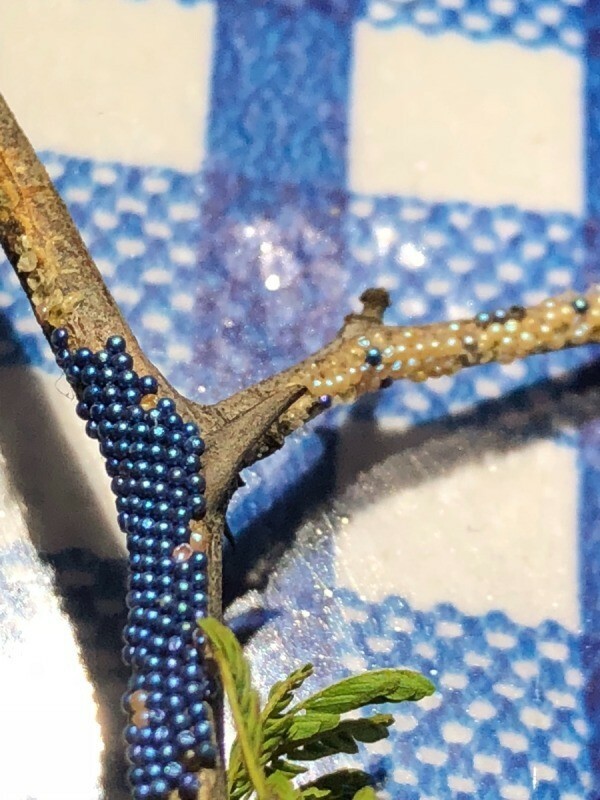 Can anyone tell me what kind of bug eggs these are? I'd say a moth laid eggs there. We had similar on our tomatoes and soon enough we had caterpillars. They are quite repulsive and the most natural way (and one the creeps me out the most) way to get rid of them is to hand (gloved) pick them off and drop them in a cup of soapy water. There are lots of other solutions but because we have a dog and small children neighbors, I don't do the chemical ones. Good luck! Sorry you are dealing with this! Yellow eggs could be Colorado potato beetle, which also affects tomatoes. What you have on your plant is Cinnabar moth eggs. This is a very interesting subject and probably not well known unless you live in an area that has cultivated the Cinnabar moth to eradicate the very harmful ragwort weed. Oregon and Washington seem to have been the first US states to use them on a wide scale basis but the UK and other parts of Europe use the Cinnabar moth also. You do not say where you live but perhaps it is in one of these areas? The problem seems to be that no one really researched what to do with these moths when/if they started laying eggs on "good" plants. I don't believe much thought has yet gone into methods for controlling the moths when they devour non-target plants. I would guess that you could attempt to look for eggs and remove them manually, or, attempt to control the larvae of the cinnabar moth (Tyria jacobaeae). We can't recommend pesticides as we are librarians and not licensed pesticide handlers, but you might investigate whether something like Btk (Bacillus thuringiensis kurstaki) is registered for controlling moths in their larval stage. Oregon Health Authority has information about Btk's use on gypsy moth. This should give you an idea of how Btk works. "In 1976, the Oregon Department of Agriculture declared tansy ragwort a noxious weed. In the meantime, researchers were searching the original home of tansy ragwort, Europe, for biological control agents. Cinnabar moth was one of three natural enemies released to control the weed. It was first released in the 60's with additional releases thereafter. The grayish-black moths with red patches on the wings established and provide biological control of this weed. The moths lay their eggs on the underside of the leaves of tansy during the late spring. Soon small orange and black caterpillars hatch from the eggs. They feed first on the lower side of the leaves on which the eggs were laid, then move onto the developing flower buds and leaves. They pupate on the ground in the leaf litter. There is one generation a year." 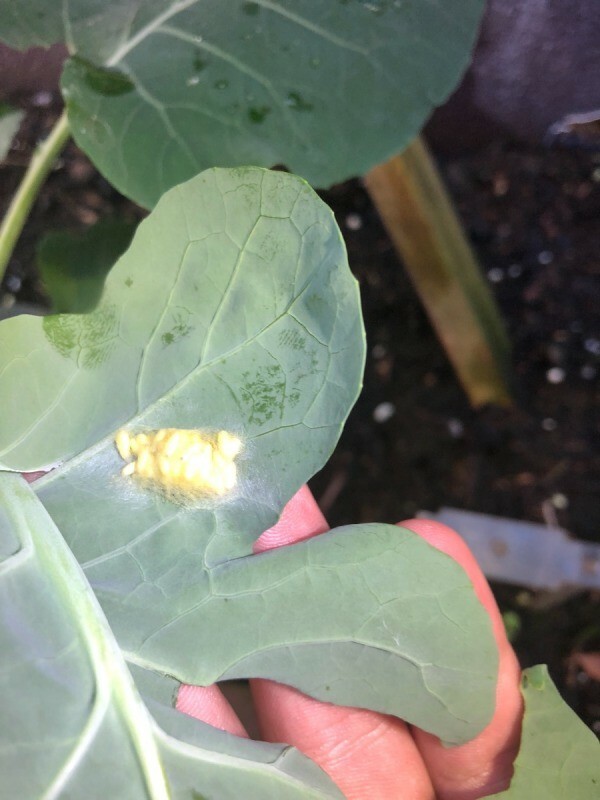 "Caterpillars are feeding from July early September and are initially pale yellow but soon develop bright yellow and black stripes to deter predators. The caterpillars feed on poisonous ragwort leaves. The poison from the leaves is stored in the caterpillars body (and even remains when they are an adult moth). Any birds or other predators that ignore the caterpillars bright warning sign will be repulsed by how foul they taste." I do not know what type of plant you have but I believe you should contact your Agriculture Agency/Extension Office and send them your photos and ask for their help in how to take care of these moths. If you are in another country you should have a similar office/agency. I woke up and saw this stuff, on the floor, next to my bed. 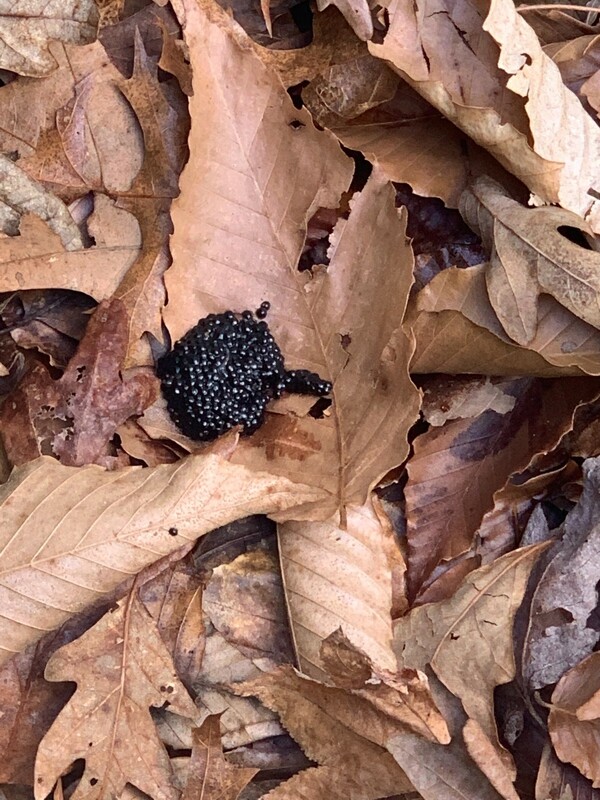 Can you please tell me if this is some kind of eggs or what? I found these eggs in my rose bush in March. Anyone know what they are? If beneficial I'd like to keep the twig and the eggs around. If not I'd like to dispose of the eggs. I left my wet bathing suit on the ground in my room after I came out of my hot tub. 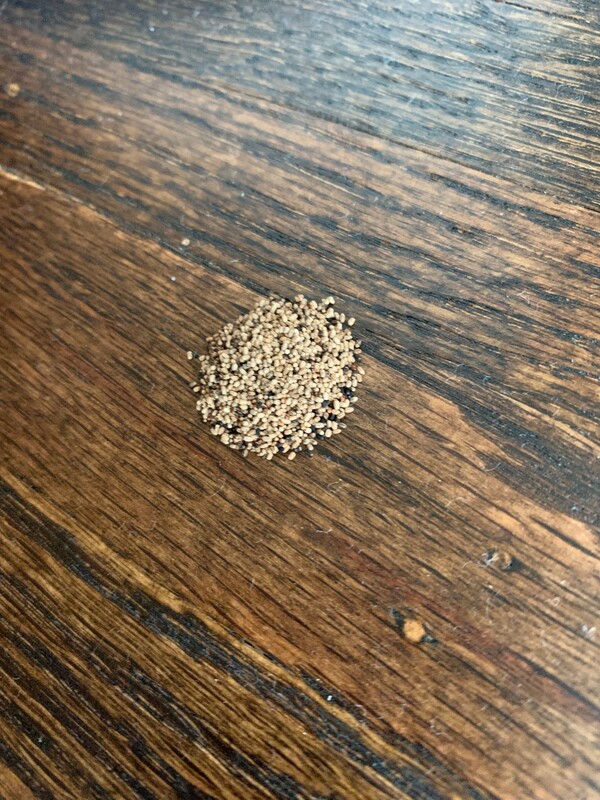 I live in the basement so there are a bunch of bugs and when I went to put my bathing suit on the next day, there were these brown, almost black tiny seed looking things that looked kind of like black cumin in the crotch area. Does anyone know what it might be? I didn't take a photo, but they looked like black cumin seeds. We found these eggs in a sunken window. We would love an expert opinion to help us identify them. 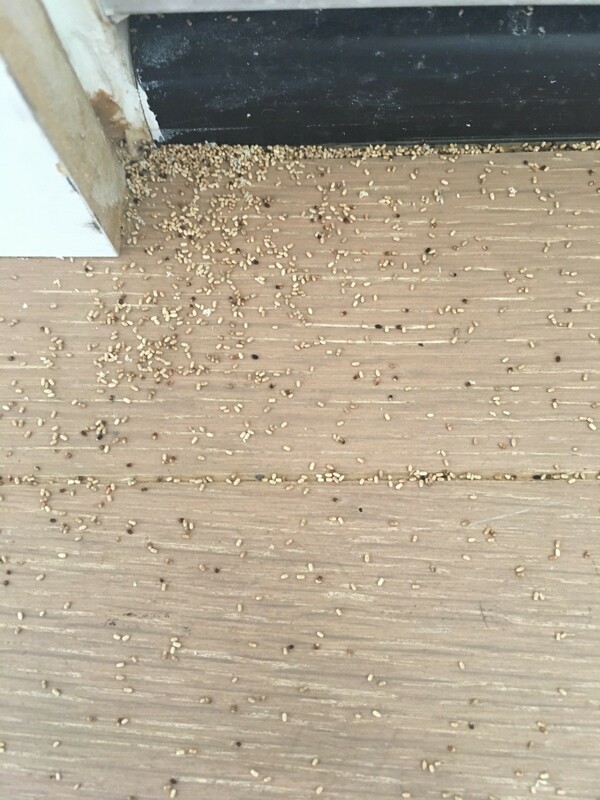 So far our exterminator couldn't identify what they are. 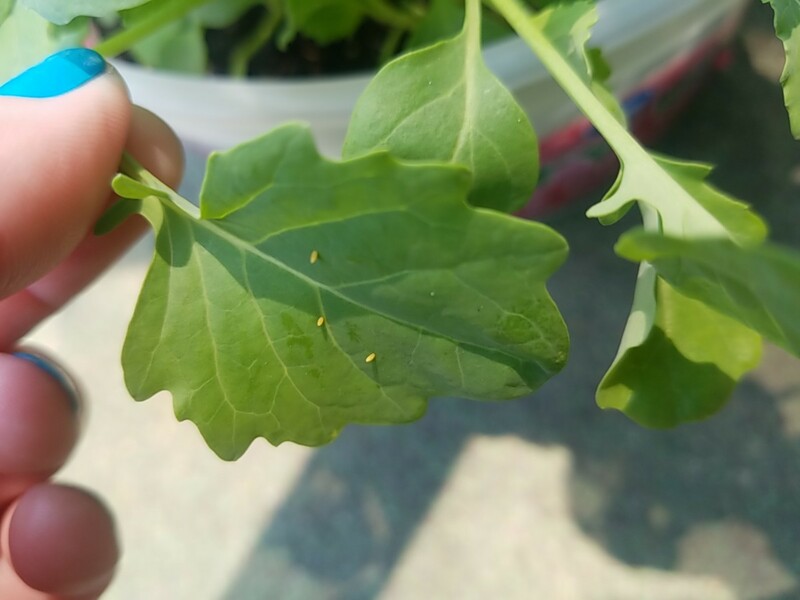 I found this cluster of insect eggs on some organic arugula from the store. I was wondering if somebody could help identifying these as my mother and I are curious. 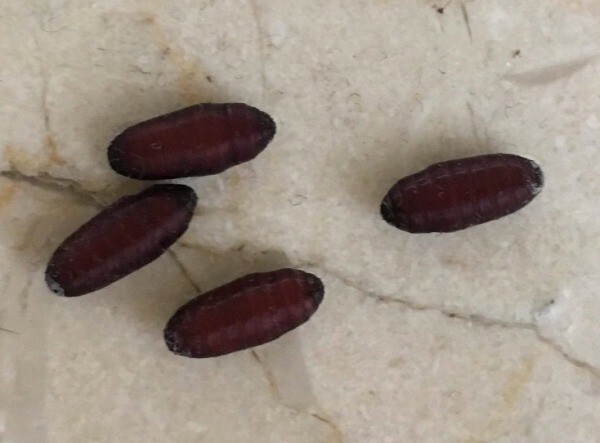 Please help to identify these insect eggs. 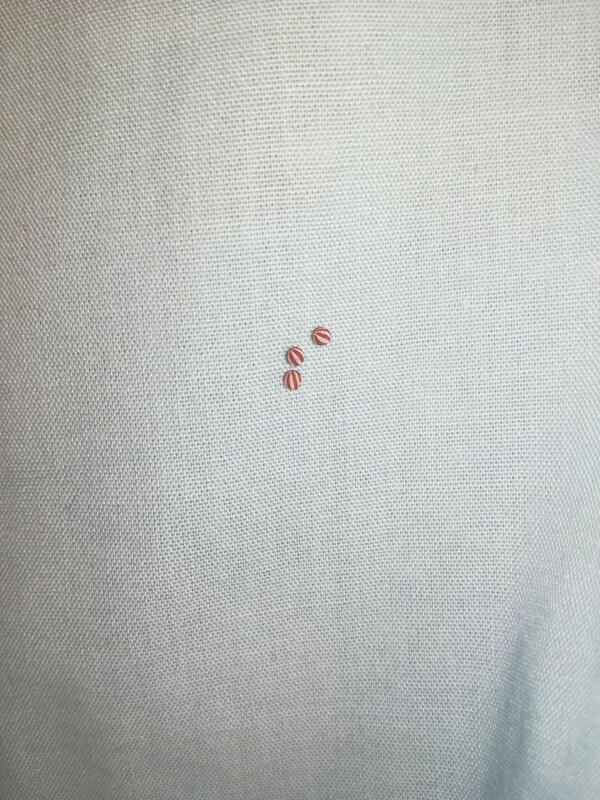 I found them on a shirt on the washing line. I live in Cape Town. 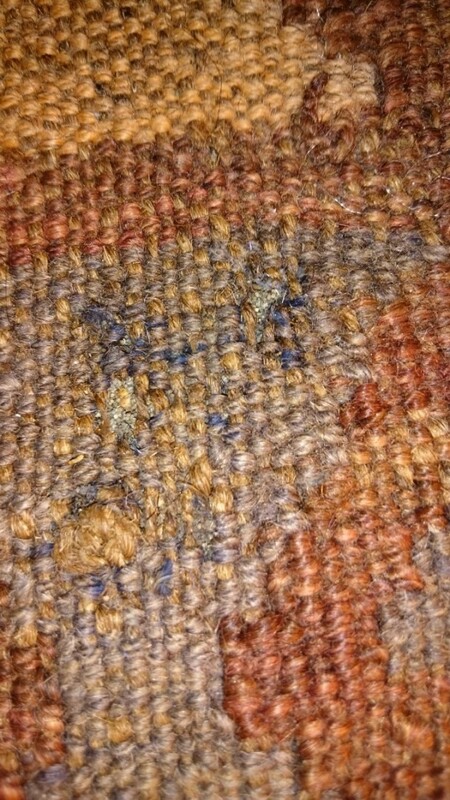 I found tiny black eggs inside an eaten woolen fabric. Some larvae are in there which are white with dark reddish heads. I have been unable to find out what they could be from. 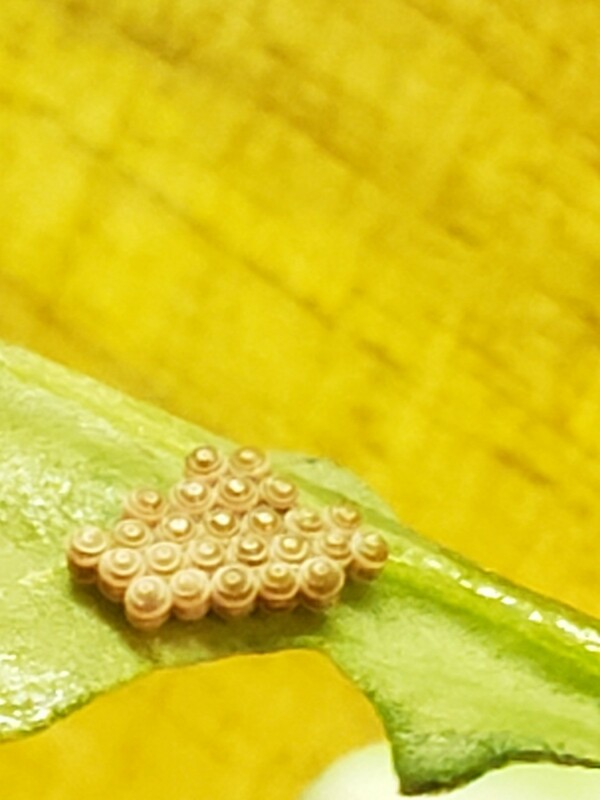 I'm having trouble identifying these orange spindle shaped eggs on the underside of a broccoli leaf. They could be lady bug eggs, but I'm not sure about the protective web covering. There was a green caterpillar lying along side of the eggs, which I removed. 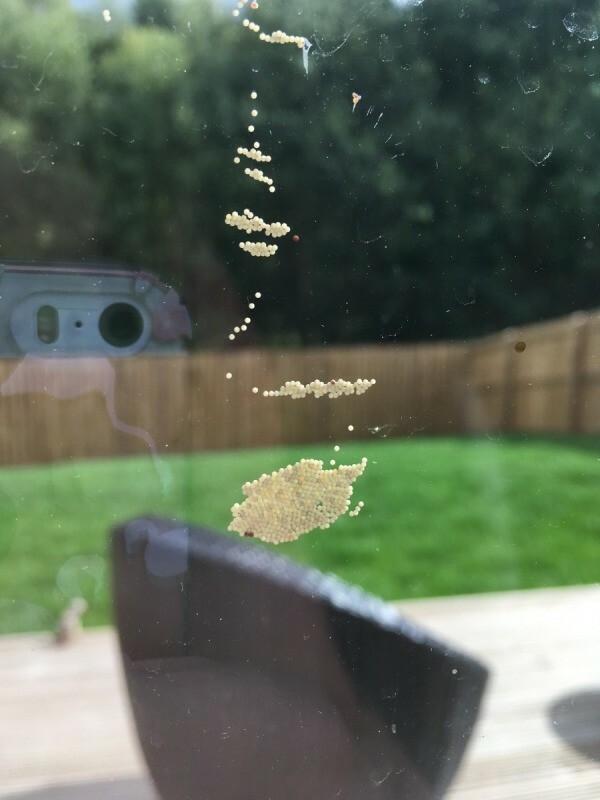 I found these on my window and they look like eggs! A couple of days later I also noticed them (possibly same eggs) on my washing line so I'm really freaked as to what they are! Does anyone know? Thanks!